Music plays an important role in the Junior School with up to four music classes a week, including Choir, Recorder from 1st Class, Junior School Orchestra and individual instrumental lessons. A child does not have to own an instrument in order to learn to play as the school runs a rental scheme through which, for a nominal amount, an instrument may be rented for a year. 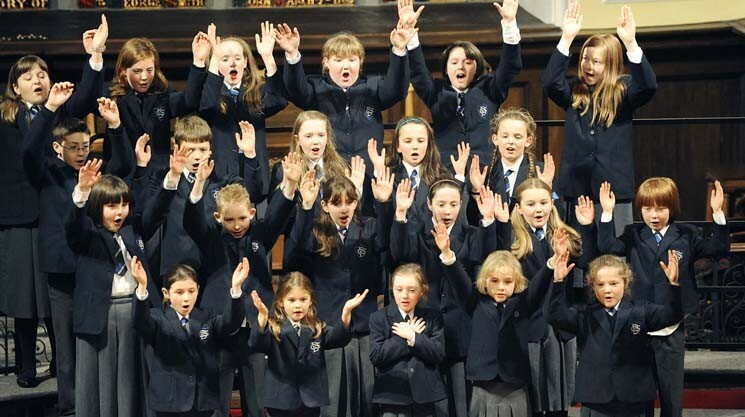 The Junior School Choir and Orchestra perform regularly and play an active part in most of the major school events during the course of the school year. The Royal Irish Academy, The Associated Board and the Trinity Guidhall music and speech examinations are available at school, although optional.